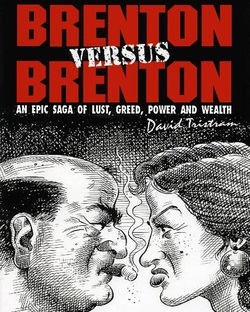 An hilarious one act play from the pen of David Tristram. Following a successful premier at Quay Arts, RedTIE is proud to announce its' first Isle of Wight tour. What is the dark secret which enflames the Brenton family feud? Who is the mysterious Eddie? Why are Lana’s shoulder pads wider than the door? And just what was Deke Brenton doing down on the farm? All this, and more, is revealed in this outrageous spoof of American soaps and blockbuster mini-series, set in the manic world of Chicago’s biggest advertising agency. Cast: Helen Reading, Pete Stockman, Hebe Gregory, Danny Whitehead, Benny Curtis and Fiona Gwinnett.